Jesus is journeying toward the Cross. On Thursday, it’s His last opportunity to impart His most important thoughts to His disciples. He is about to be arrested, and everything is about to go sideways for the disciples—“this isn’t the way this is supposed to happen!”—and Jesus needs to prepare them with the truth they will need to sustain them through this. “I have eagerly desired to eat this Passover with you before I suffer,” Jesus says (Luke 22:15). So Peter and John are sent to make arrangements for the Passover meal, but one of the arrangements that they overlooked was the host duties—washing the feet of each guest, anointing them with perfume, and giving them a welcoming kiss. These statements get the disciples arguing about who’s going to betray Jesus—“It’s not me, is it? !”—and over how faithful they are—“I would never abandon Him!” Ultimately they begin to argue over who is the greatest disciple among them. Jesus not only explains to them how the servant is greater than the master in God’s sight (Luke 22:24-27), but He then becomes the living example of that when He washes their feet (John 13:1-5, 12-17). Here’s an important principle—Only secure people can lovingly serve others. Insecure people don’t like to serve others because they feel they are being misused, or taken advantage of, or that others will look down on them. 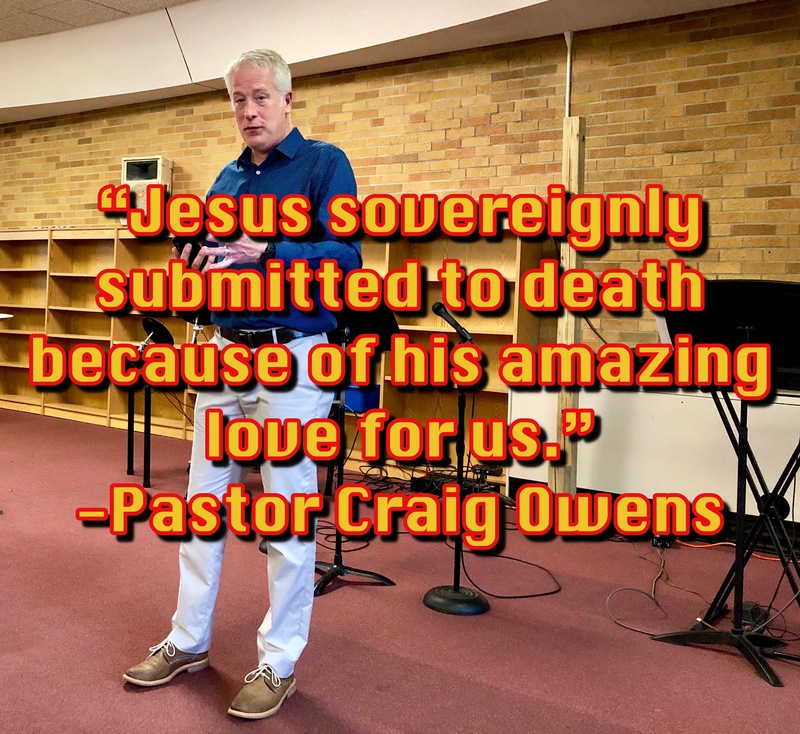 Jesus served out of love: the profound love that He knew His Father had for Him. He gave His disciples the same mandate: Serve others out of love for Me and show the world that you are My disciples (see John 13:34-35). This is the type of intimate relationship Jesus had with His Father, and this is the type of relationship He calls us to with Him. The broken bread of Communion reminds us that Jesus can make whole any broken area that would keep us from communing with Him. The cup of Communion reminds us that Jesus can instantly and fully forgive any sin that would keep us from communing with Him. Jesus set the example—we are to commune with our Heavenly Father through the way He made by His broken body and His shed blood. 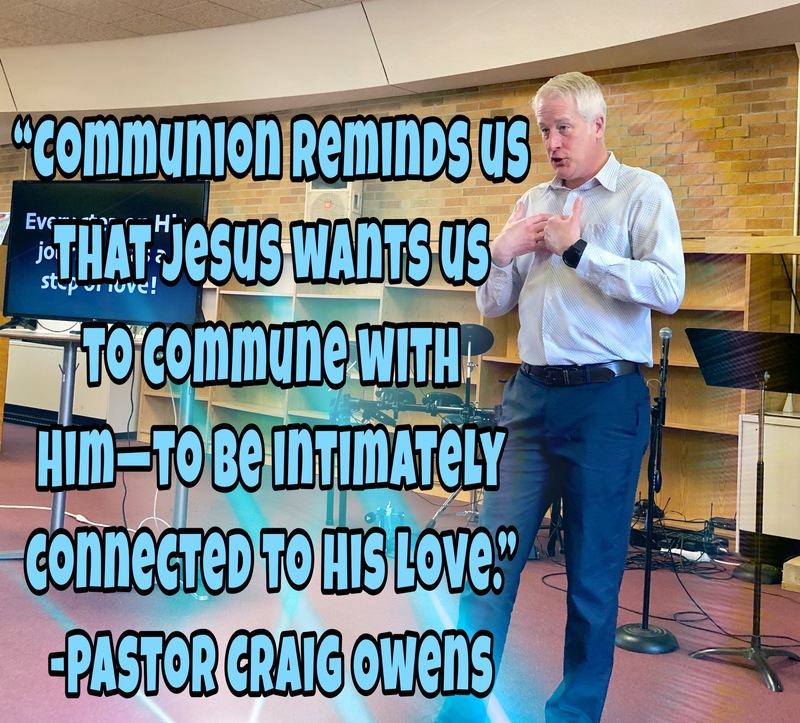 It’s out of this communion that we are empowered by His love, and then feel secure enough to serve others in love too. On the Wednesday of Christ’s Passion Week, all of the Gospel writers are in perfect agreement. Between all four of them, they write not one word about what happened on that day. That silence actually speaks volumes to us! The Sabbath is not a day; it’s an attitude of the heart. Jesus followed the example His Father set right at the beginning. Notice that God rested and was refreshed. The word rested means to stop working and celebrate. It’s a time to reflect on the work completed and celebrate what has been done. Then the Bible says God was refreshed, which literally means “God refreshed Himself.” He took a deep, satisfying, rejuvenating breath! Resting and being refreshed—or sabbathing—is not a luxury; it’s a necessity! Now—just before the intense, horrific, inhumane experience He is about to go through—Jesus is sabbathing. He is resting and refreshing His body, soul, and spirit. So what keeps us from sabbathing? Guilt—“I feel guilty taking time off.” Remember that is Jesus did it, we should too. Misplaced priority—“If I don’t do it, it won’t get done.” But remember Who is in charge. The psalmist reminds us, “The Lord is king!” (Psalm 99:1). Fear—“If I ‘tune out’ what might I be missing?” Remember: Your Father is watching over you every single moment (see Psalm 121). If you wanted to experience more productivity in your life, don’t try to go 24/7—take a sabbath break. Stop working and celebrate what God has done, then take a deep breath of worship in God’s presence. Jesus demonstrated that sabbathing was vital for ministry success. 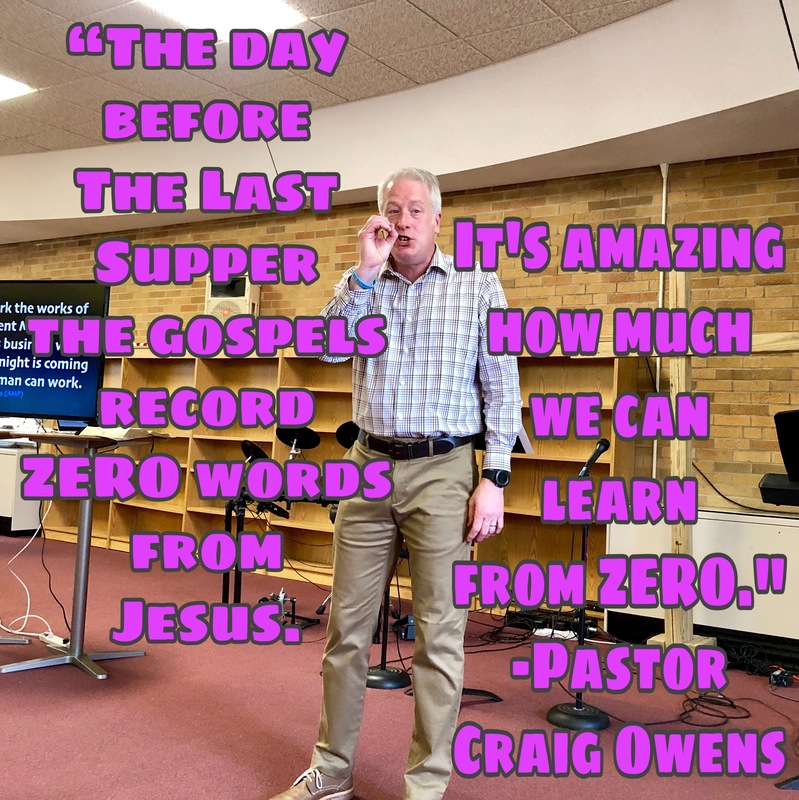 In His final week of ministry leading up to the Cross, Jesus got the most out of every minute He had. After a busy Monday where He cleared the temple, Jesus went back to Bethany, where He spent the night, only to return to the same temple courts Tuesday morning to teach His disciples. Tuesday is a preparation day. This is His last day in public before His trial and crucifixion and He has many final words to impart to His followers. 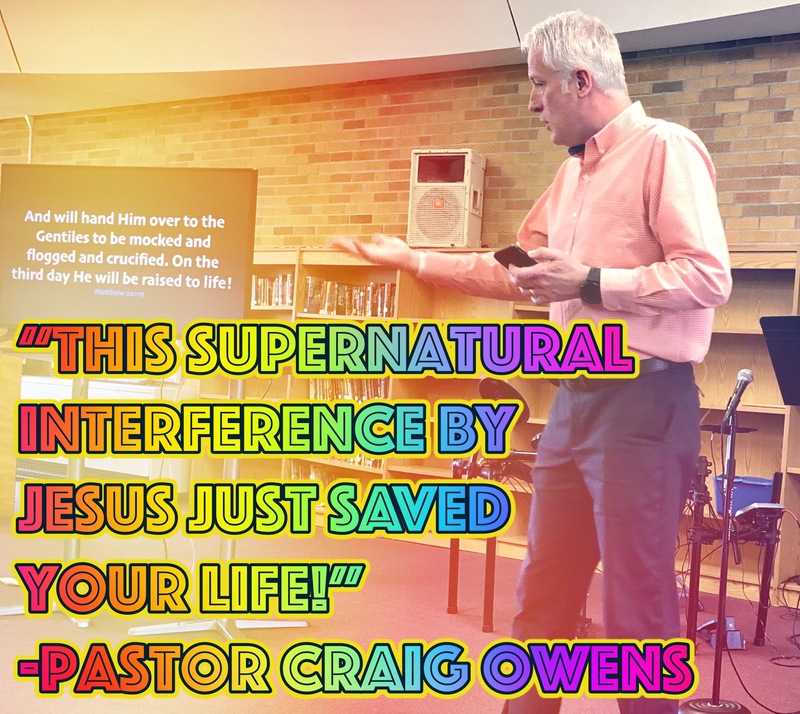 Much of His teaching comes in response to the increasing onslaught from the religious leadership, who are desperately trying to find a way to silence Him once and for all. 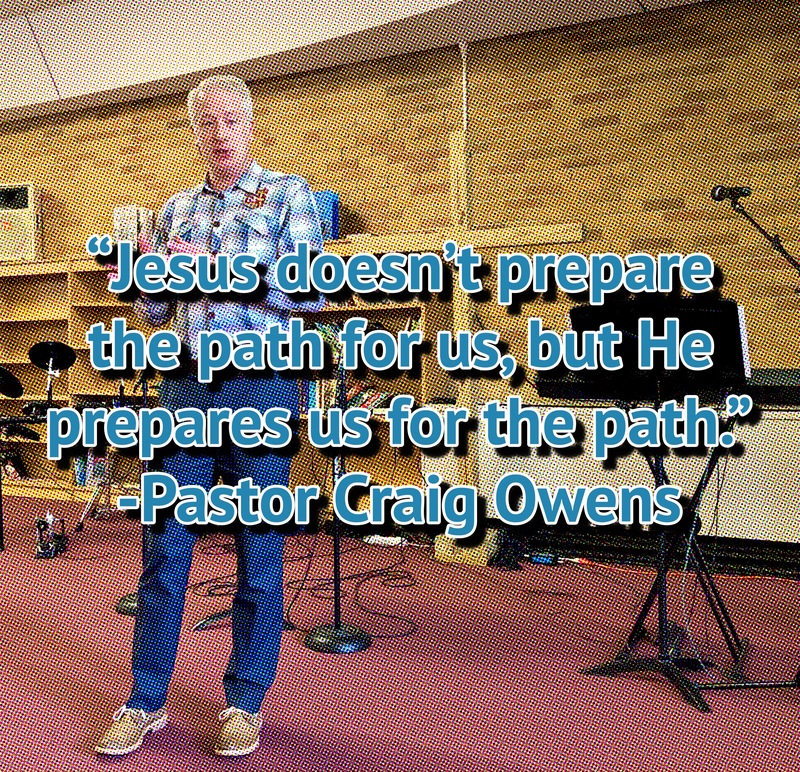 It’s important to note that Jesus doesn’t prepare the path for us, but He prepares us for the path. Answer entrapping questions with a question of your own. You don’t have to answer everything people ask you. Either-or questions probably need a both-and answer. The better we know the Scriptures, the better we can know those both-and answers. Consider the source of the questioner. We shouldn’t have an unhealthy obsession with nonessential things. When we teach in love, some people will finally get it. Between all of the entrapping questions, Jesus taught some valuable lessons. Jesus doesn’t want us to be surprised, so He tells us upfront what is coming. Some of what He teaches here would have partial fulfillment in about 30 years when the Romans besieged Jerusalem, but the ultimate fulfillment is still to come—Matthew 24-25; Mark 13; Luke 21. Christ’s passionate journey was out of love for us. Which means everything He taught us was for our benefit. To honor Him, we need to know the Scriptures and God’s power (Matthew 22:29). So we study the Word of God to get to know the God of the Word. Keeping our eyes on Jesus will keep us prepared for the path ahead of us, no matter how rough it is. On what we now refer to as Palm Sunday, Jesus arrived in Jerusalem with the crowd shouting, “Hosanna” because they thought Jesus was going to set things right. In this, they were disappointed. Jesus knew that His time for reigning in Jerusalem hadn’t come yet, and Christ’s passionate journey meant He would not cut any corners! Before Jesus left Jerusalem that Sunday evening, Mark noted that “He looked around at everything.” He didn’t respond right away to what He saw. This is very important to note because we shouldn’t think that His response on Monday was something spontaneous. No, it was planned out in specific detail. On Monday morning, Jesus prepared to make the 2-mile trip from Bethany to Jerusalem. The Gospels note quite frequently the amount of time Jesus spent in prayer, including beginning His day in conversation with His Father (see Mark 1:35). On this morning, He must have talked with His Father about everything He had seen in Jerusalem the day before. En route to Jerusalem, Jesus encounters a fig tree that gives every appearance of life and vitality. It looks like it’s ready to serve people, but upon closer inspection, Jesus discovers that there is no fruit on it. He curses the tree for its deceptive outward appearance. This is definite foreshadowing for what’s about to happen! Jesus enters the temple and begins to drive out merchants, and moneychangers, and dove sellers. He roars at them, “God says this is to be a place of prayer for all nations, but you have turned it into a den of robbers!” (see Matthew 21:12-17; Mark 11:15-19; and Luke 19:45-48). The phrases house of prayer and den of robbers are direct quotations from Isaiah and Jeremiah, respectively (Isaiah 56:3-7; Jeremiah 7:1-11), but what do they mean? The Court of the Gentiles was open to all people, foreigners included. The Women’s Court was open to all Jews and, their “uncontaminated” wives. The Court of Israel was limited to male Jews who were clean and purified. The fourth court was the Holy Place limited to priests robed in their priestly vestments. This buying and selling was undoubtedly happening in the Court of the Gentiles. As the Passover was approaching, people from all over the world were here—some purchasing animals to use as sacrifices, and some exchanging their foreign money for Israelite money for the temple tax. There was a lot of hustle and bustle, but very little worship. This is what angered Jesus. The activity in the temple was like the fig tree He cursed—it looked like it was fruitful, but that was merely outward deception. Were the merchants exploiting people? Perhaps. But they were certainly occupying the only space where non-Jews could worship. They were certainly becoming a distraction to any true worship activities. They were clearly becoming the main attraction. As our Christlikeness increases, our intolerance of religious showmanship should increase. As our Christlikeness increases, our intolerance of unrighteousness should increase—both a greater hate for sin and a greater love for sinners! Christ’s passionate journey was out of love for us. Which means He hates anything that keeps us from His Father. If you know God’s love, be zealous about those things that keep others from coming in to know God’s love for themselves. Not angry at people, but angry at practices and “religious shows” that hinder people from knowing God’s love like you know God’s love. The Sunday before Christ’s crucifixion is typically called “The Triumphal Entry.” But was it really? One thing’s for sure—Jesus didn’t come to Jerusalem the way the people expected! To fully get the picture of what’s happening we need to turn back the calendar several hundred years. Ever since Jerusalem fell to invading armies, the Jews hung on to the promise that God would restore their king and their kingdom. They were awaiting a descendant from the line of King David who would drive out their overlords and restore Jerusalem to its rightful place. They clung to a promise in Psalm 118 that included these words—“Lord, save us! Lord, grant us success! Blessed is He who comes in the name of the Lord. From the house of the Lord we bless you. The Lord is God, and He has made His light shine on us. With boughs in hand, join in the festal procession up to the horns of the altar” (vv. 25-27). So on that Sunday as Jesus approached Jerusalem, it wasn’t as a conquering King but as a humble servant. As He came near, He wept a sobbing lament over Jerusalem (Matthew 23:37). The crowd took palm branches (as Psalm 118 suggested) and shouted, “Hosanna!” That word means “Save us,” but what they really meant was, “Save us NOW!” Jesus came riding a mule—a lowly work animal, not a war horse—to remove any fear people may have, and to show them His servant’s heart. Have you ever noticed that Jesus never rushes? He’s never early. He’s never late. He’s never confused. He’s never trying to catch up. This is because Jesus was in complete sync with His Father. Jesus said that everything He did was directed by His Father, and every word He spoke was given to Him by His Father. We, too, should be able to move in that same unrushed pace. Because of what Jesus did for us on Calvary, we may have the same “oneness” with our Father as Jesus did (John 14:20). Worry creeps into our lives when—like those cheering crowds in Jerusalem—we try to make our agenda happen on our timetable with our own resources. But when we look to Jesus, we see such a perfect peace as He relied on His Father. Christ’s passionate journey was out of love for us, so that we could know peace with God as we journey through life with Jesus. Join me this Sunday as we take a closer look at the Monday of Christ’s Passion Week.